At issue for privacy advocates is the artificial intelligence that Google says adds value to the app — but requires the company to read, analyze and hold onto a user’s messaging and other interactions. Within the messaging function, the AI uses chat histories to suggest written or emoji responses, a service the company calls “Smart Reply.” Users can send a response by tapping it. The assistant can answer questions and suggest websites, and draw from a user’s search history to give personalized suggestions. It can draw on a user’s inputs to Google services — for example, finding images in Google Photos — or call up appointments made in Calendar. Google says they've addressed these concerns. Allo users can delete all message text and interactions with the assistant, if they know about that option -- and users can select end-to-end encryption before starting a conversation. [T]he complaints were further compounded by the fact that Google appeared to have walked back its initial commitments to privacy. It had first suggested that it would only store some information, and get rid of it after a short time – but now it seems that all the data is readable by Google, and will be forever unless a user deletes it, which Google gives them the option to do. There is a way to turn off Google’s data collection in Allo. But that means starting a specific kind of conversation – an “Incognito” one – in which it also doesn’t use any of its special features and becomes like any other chat app. I tested Allo for five days and compared it with the apps that are most similar to it: Google Hangouts, Apple iMessage and Facebook Messenger. 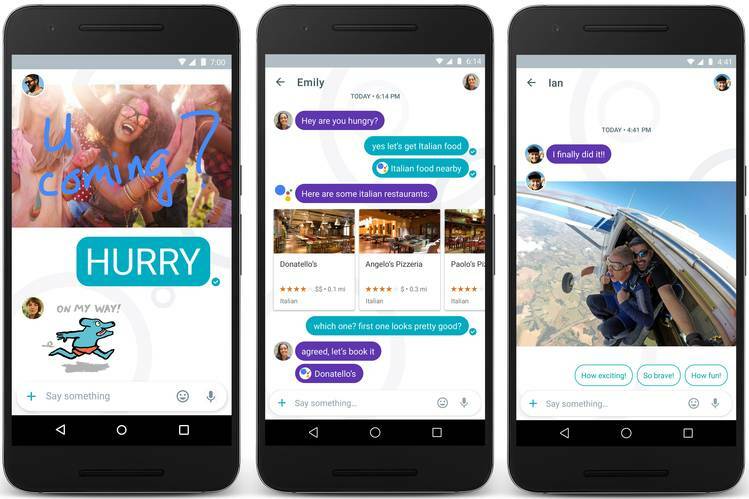 After weighing the pros and cons, my advice is that people can hold off on downloading Allo, largely because its artificially intelligent assistant was unhelpful. But if Allo matures, users will probably want to ditch the Hangouts app.